Security payments: If you accept, for example, checks, you can limit them to small amounts in order to favor a payment with payment security for large orders. Fees on payments: If you have a lot of transaction costs on payments, you can limit them to small orders, for example, or on the contrary, only large if your costs are lower. Completely transparent to the client! 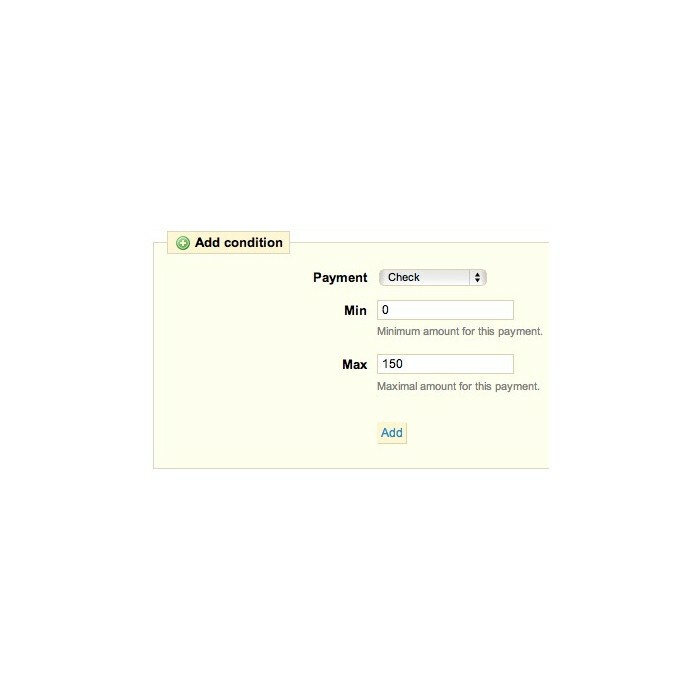 The list of payment is automatically updated based on the amount of the order. This extension uses the override of PrestaShop 1.4 and higher. It will override the class Module, so if you already use an extension that override this class or that you yourself override this class, make a backup of this file, install the extension and then manually change the file in order to live your changes with those of the extension. If this is the case, ask for help from your webmaster, if not, you can install the extension without problems!